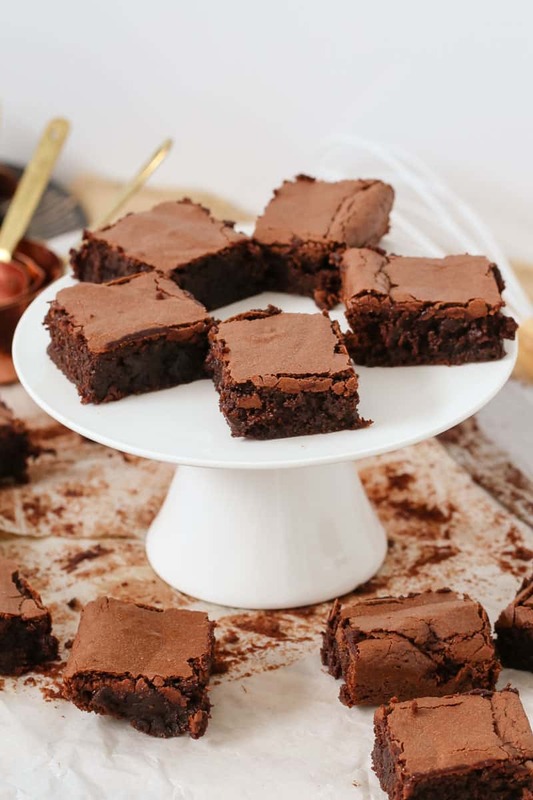 The ultimate chocolate gluten free brownies… totally rich & fudgy! This one-bowl wonder takes less than 10 minutes to prepare & is a chocoholics dream! You guys know how much I love my brownies, right?? A whole heck of a LOTTTTT!!! 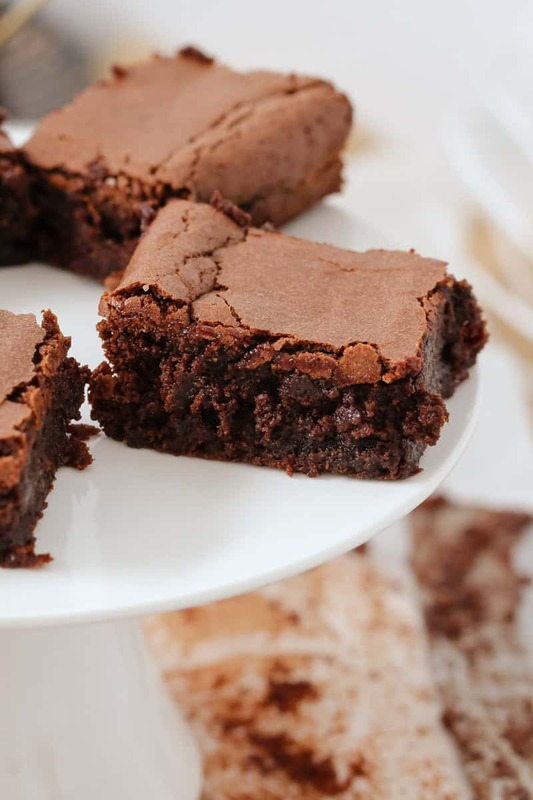 And surprisingly, my favourite type of brownies are gluten-free brownies. 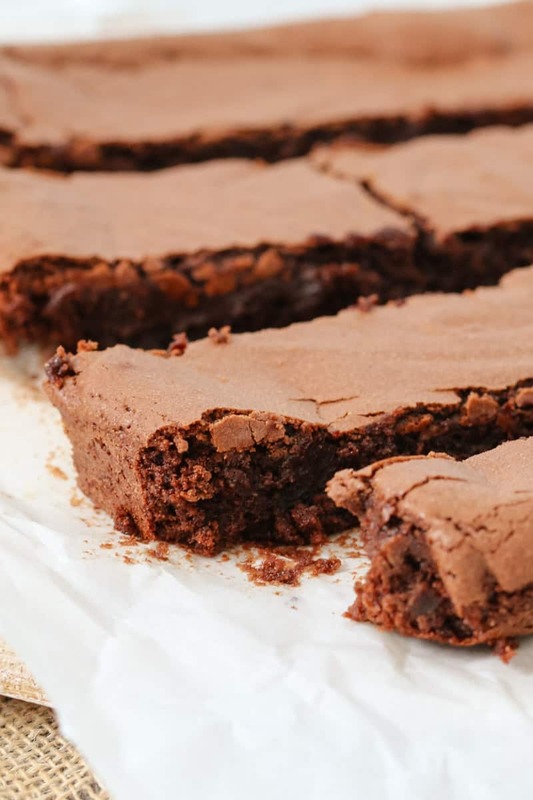 They’re the richest, fudgy-est brownies EVER!! 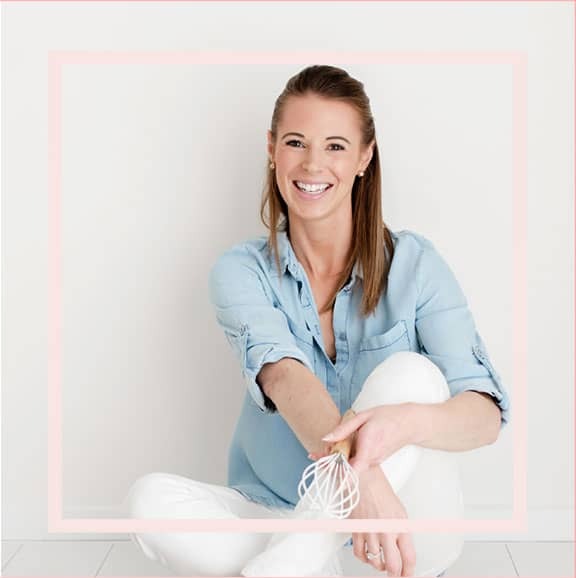 It doesn’t matter if you don’t usually eat gluten-free foods (I don’t! ), these are still the absolute best brownies in the world. Hands down. 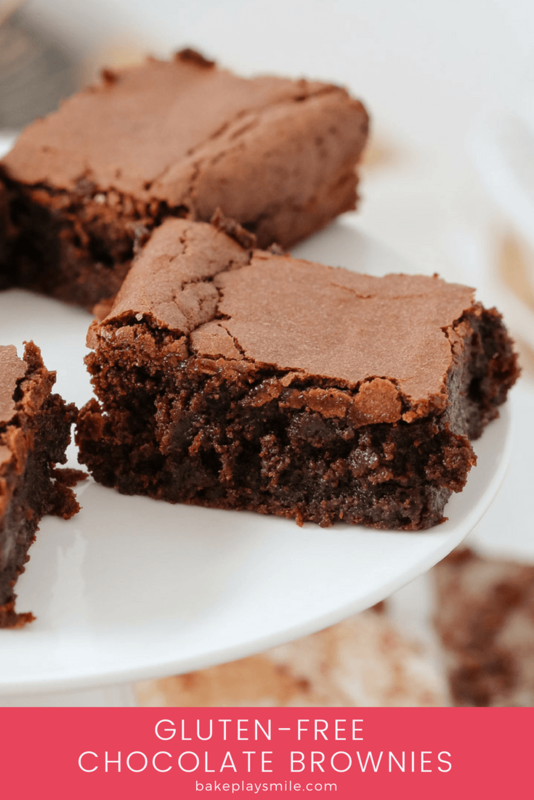 Gluten Free Brownies – the 2 must-have ingredients! 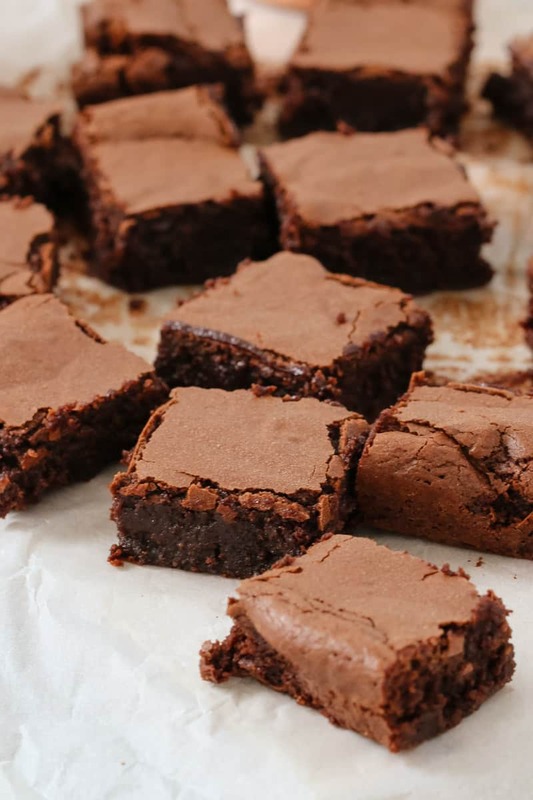 And what makes these Fudgy Chocolate Gluten Free Brownies so darn good? 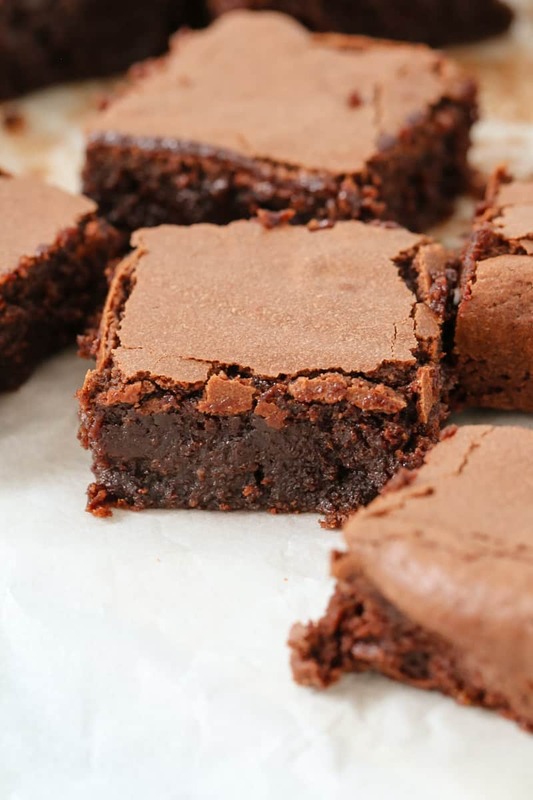 They’re made with dark chocolate (a higher quality chocolate will result in a better brownie) and almond meal. 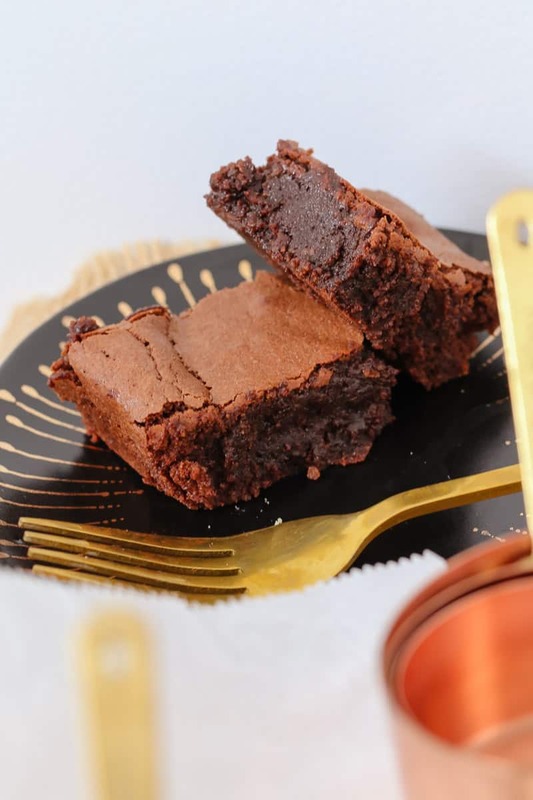 The almond meal keeps these brownies dense and delicious… while still giving them that gorgeous flakey top. 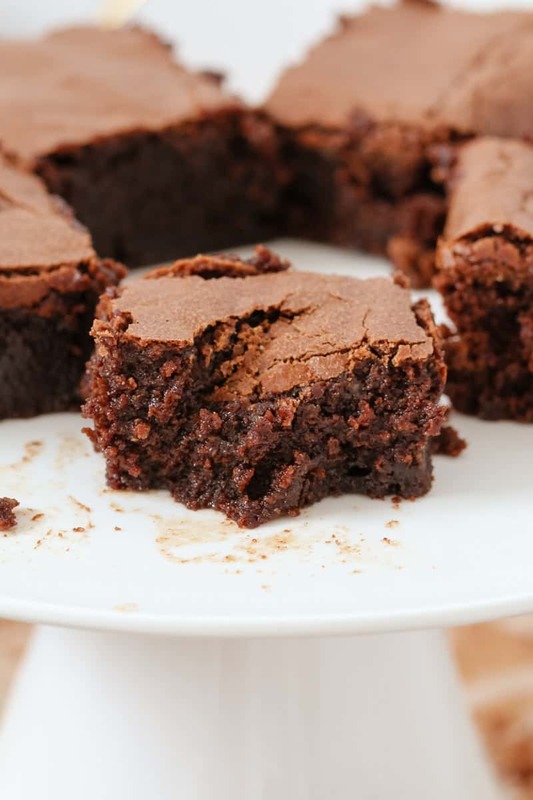 These Fudgy Chocolate Gluten Free Brownies are the easiest things ever to make. All you need is 1 bowl, 10 minutes and your prep is totally done! 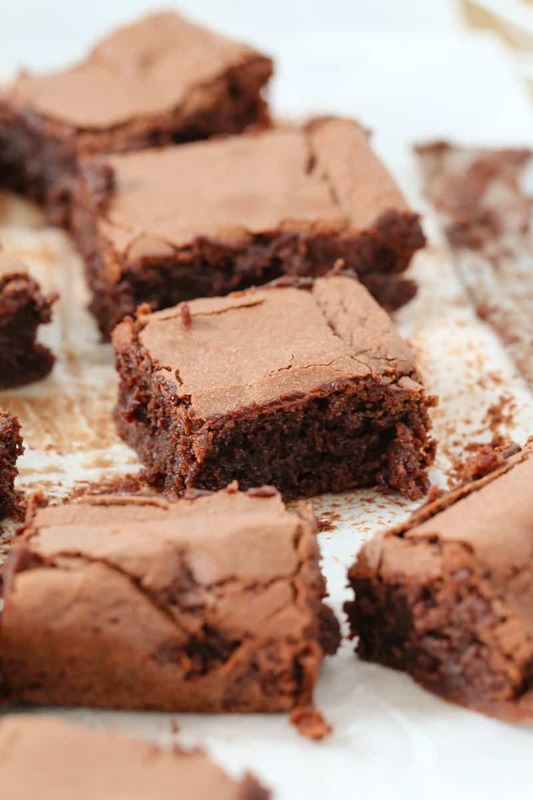 The hardest part of cooking these brownies is waiting for them to come out of the oven. 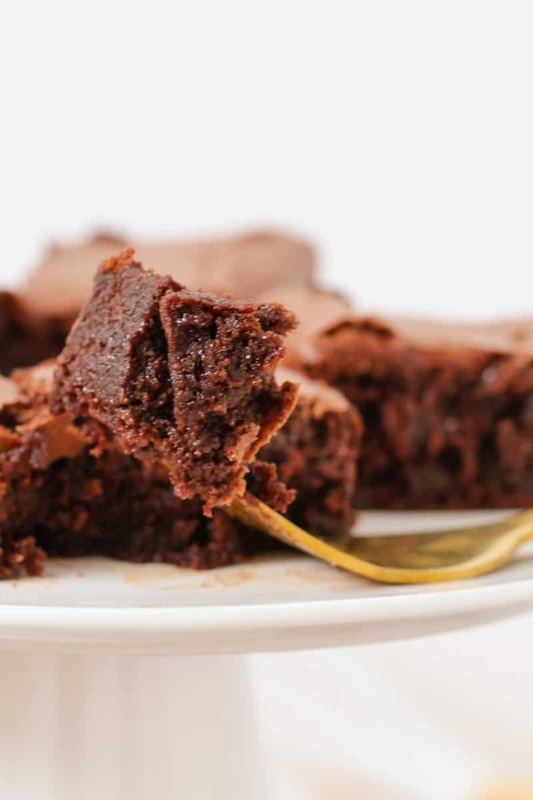 How long can brownies be stored for? Once they’re cooked and cooled, you can store the brownies in an airtight container for up to 5 days (they sooooo won’t last anywhere near that long!). You can serve them all on their own (my favourite way), with a little shake of icing sugar, some fresh berries and cream, or a big scoop of ice-cream. All totally delicious options! 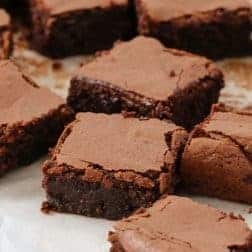 And so there you have it… the perfect Fudgy Chocolate Gluten Free Brownies (that even non-gluten-free peeps will LOVE!!!). Mmmm…. get. in. my. belly!!!! 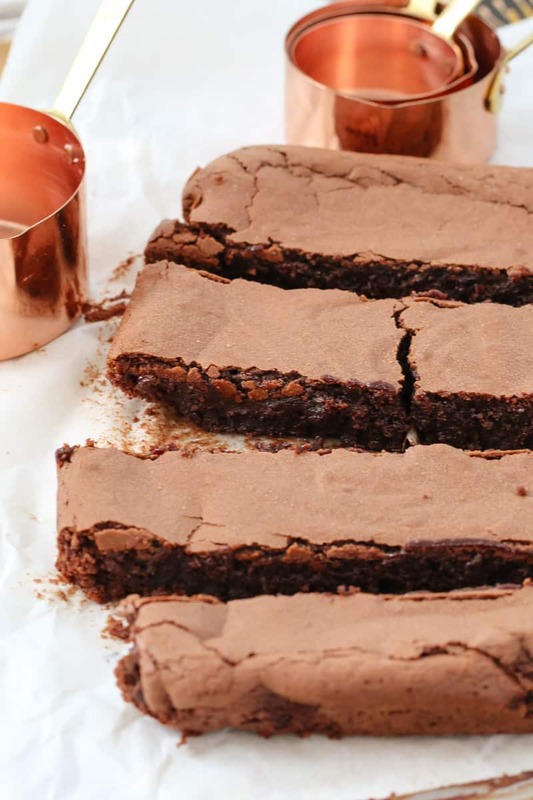 The ultimate chocolate gluten free brownies... totally rich & fudgy! This one-bowl wonder takes less than 10 minutes to prepare & is a chocoholics dream! Preheat oven to 160 degrees celsius (fan-forced). Grease and line a 20cm square baking tin with baking paper and set aside. Melt the dark chocolate and butter in a microwave-safe bowl on 50% power, 3-4 minutes (stirring every 30 seconds) or until melted. Add the vanilla extract, salt, almond meal, eggs, brown sugar and cocoa powder and mix together until well combined. 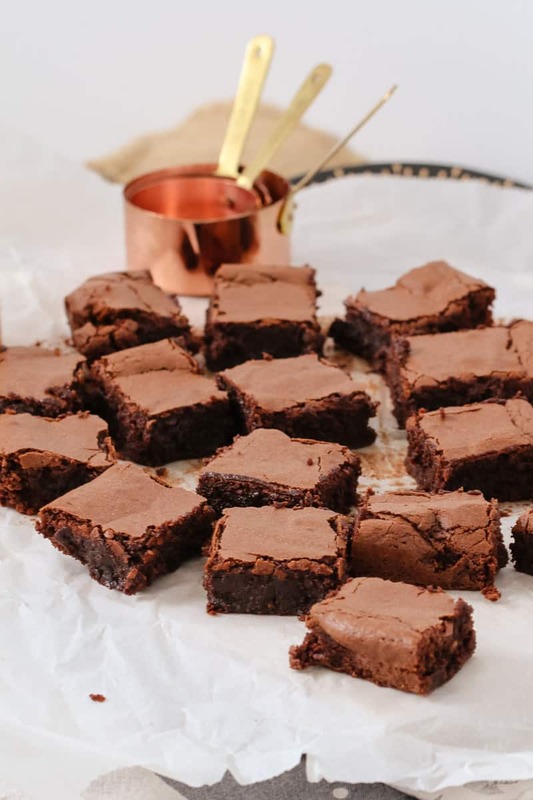 Pour into the prepared baking tin and bake for 30-35 minutes or until a crust has formed on the top and the brownie feels slightly firm (do not overcook). Allow to cool completely in the tin before turning out and cutting into slices. Store in an airtight container at room temperature for up to 5 days (or freeze for up to 1 month). Melt the dark chocolate and butter in the Thermomix for 3 minutes, Speed 2, 80 degrees. Add the vanilla extract, salt, almond meal, eggs, brown sugar and cocoa powder and mix together on Speed 5, 10 seconds. Scrape down the sides of the bowl and repeat for a further 10 seconds.